Eucerin pH5 Washlotion is a daily-use, soap-free cleanser with extra mild surfactants that ensure dry sensitive skin is gently but effectively cleansed. Dry sensitive skin is easily irritated by environmental triggers, making it even more sensitive. It requires more than gentle cleansing to become less sensitive. 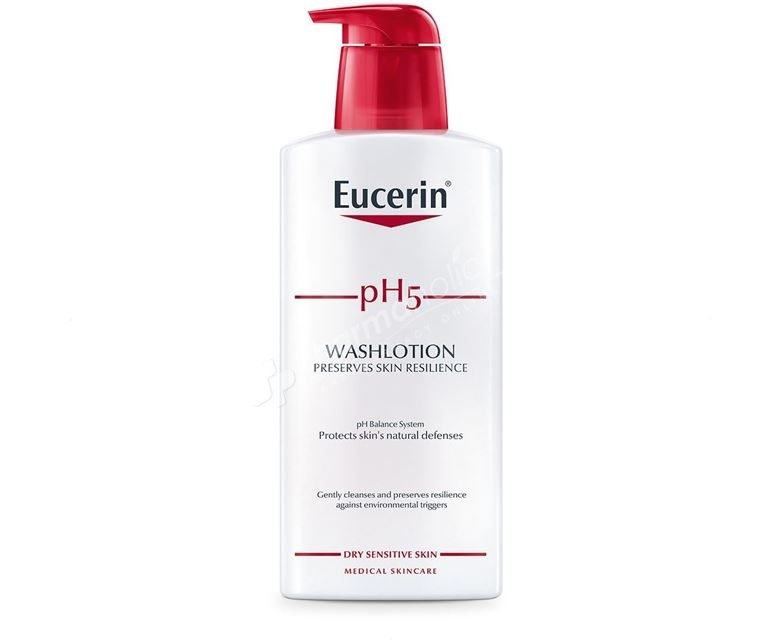 Eucerin pH5 Washlotion is a daily-use, soap-free cleanser with extra mild surfactants that ensure dry sensitive skin is gently but effectively cleansed. The unique Eucerin pH Balance System gives the formula the optimal pH to protect skin’s natural defenses, preserve its resilience and prevent it from drying out.